This blog was first published by our sister health blog, DGhealth in 2014. 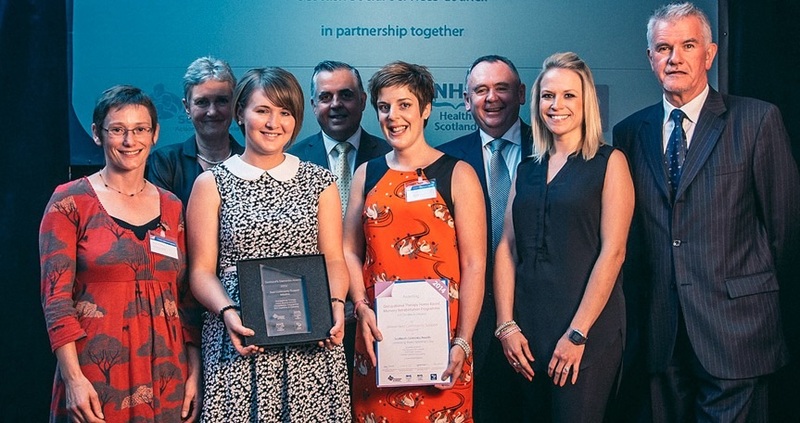 When I took up my post as an Occupational Therapist (OT) within the Mental Health, Substance Misuse and Learning Disability Service in NHS Dumfries and Galloway as a new graduate, I was unsure what to expect. Having had a placement within the service I was familiar with the client group and the team, however coming into this as an OT, is very different to being a student! And my first initial thought was ‘what will I be doing as an OT?’. This is where the Home Based Memory Rehabilitation (HBMR) programme comes in! First suggested to myself and Corinna Sidebottom (OT, who started at the same time as me) back in 2012 as a possible piece of work we could develop within the service, who knew the success this would have?! HBMR was originally developed in Belfast City Hospital in 2007 by Advanced Specialist OT Mary McGrath. It was developed as part of the cognitive rehabilitation approach for the treatment of people with acquired brain injury; however was found to be equally appropriate for the rehabilitation of cognitive deficits, including memory due to early stage Alzheimer’s disease. It has been recognised that the main approach to helping people with memory difficulties to engage within their activities of daily living is to try to find ways to compensate for impaired memory, through memory rehabilitation strategies. The idea of cognitive/memory rehabilitation interested me – we often associate rehabilitation with the likes of having had a broken bone and regaining the function within the specific limb, but we don’t commonly associate this in relation to Dementia (or at least, I didn’t!). Cognitive rehab is defined as an individualised approach which should focus on real-life, functional problems a person experiences. Central to this, is an understanding of the person’s strengths, abilities and deficits from a holistic approach, which as a profession, incorporates our core beliefs. So what exactly is the HBMR programme? And how as new band 5s, were we going to develop this and pilot it within our service? After various meetings we developed a modified version of Mary McGrath’s programme and we were then ready for a 6 month pilot. Each session covered a range of memory strategies such as a memory book, memory board, post-its, safety checklist, using a calendar, medication checklist to name a few. These are all things any one of us could use within our daily lives to remind us of daily tasks. The key to the programme is the structure and repetition of emphasis placed on the strategies and so each time a new session is delivered, all previous strategies are revisited to ensure the client is using these and is confident in doing so. It is this repetition that encourages new learned behaviours within people with early stage memory impairment and creates the habits that are more likely to be remembered as memory loss continues. 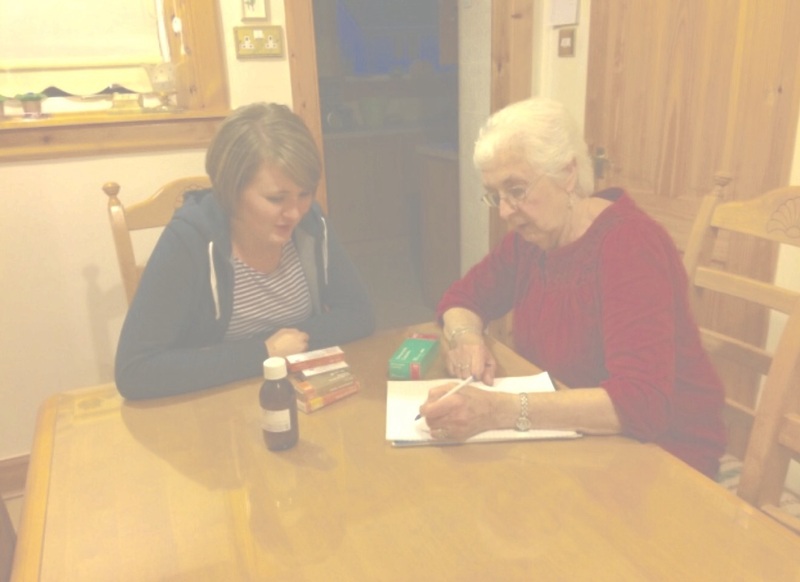 Following our 6 month pilot, we compiled our evaluation – which in my opinion not only demonstrated the effectiveness of HBMR but also highlighted that people with early stage Dementia, can learn new skills!! 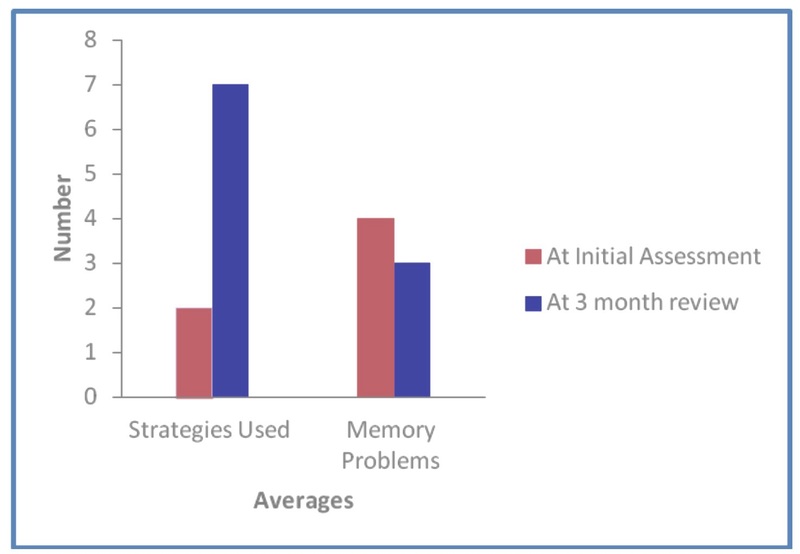 This graph clearly demonstrates that following completion of the programme, at 3 month review there was a significant increase in the number of memory strategies clients were using. And as a result, a slight decrease in the number of reported memory difficulties they experienced. Since completion of our pilot we have been working on promoting HBMR and how we can further develop this. A key highlight of the whole process for me has to be winning ‘Best Community Support Initiative’ at Scotland’s 2014 Dementia Awards in Glasgow. Although probably the most daunting, as this involved making a small speech!! Our poster has also won at national events and was displayed within the poster presentation at Alzheimer Europe conference 2013. 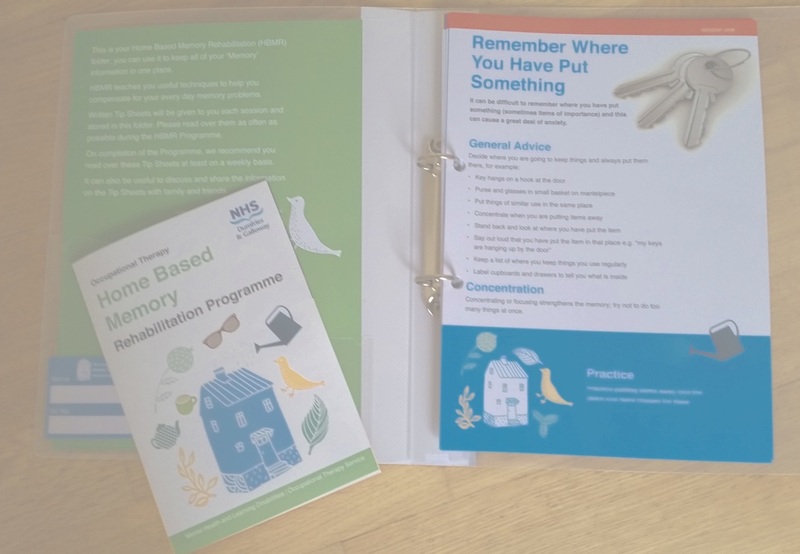 The HBMR programme also features within Alzheimer Scotland’s ‘Allied Health Professionals Delivering Post-Diagnostic Support: Living Well with Dementia’ Publication. We are also considering other possible ways to deliver the programme such as the use of technology. We have also been looking into the branding of the programme and we hope to share this both locally and nationally. I am probably very biased about the programme as I have been involved from the beginning but I hope reading about the effectiveness of HBMR has encouraged you to think about the ability to learn new skills in early stage Dementia and how this may impact on future practice … after all … Dementia is everyone’s business!!! This entry was posted in Uncategorized and tagged acquired brain injury, advanced specialist OT, Dementia, Home based memory rehabilitation programme. Bookmark the permalink.